Lighting is probably the most underrated factor of any home decor. You can alter the intensity of the colors in your decor by just changing the lighting. Amongst these, using designer lamps has probably the most intense effect. There are many types of lighting pieces of equipment that you can use inside or outside your house. Biomimicry Heliotrope is one such lighting fixture. The most fascinating thing about a sunflower is its ability to turn with the movement of sun. 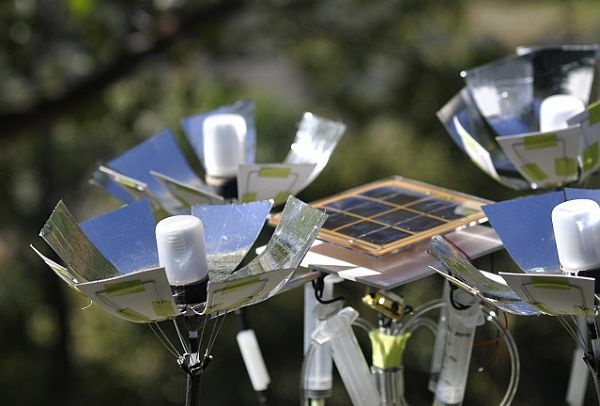 Fetching inspiration from this directional growth, designer Jonathan Ota has come up with a lighting device named Biomimicry Heliotrope, which helps the device move in the direction of sun just like a sunflower. The silver colored device, with a light bulb, has been fitted with a piston, which has been wedged on the other side of the blossom. When pressure is increased, alcohol evaporates in the flower that moves the piston. This movement bends the bloom in the direction of stimulus, just like a sunflower. The flower closes up, on getting stimulus, without being plugged to an electric source. Biomimicry Heliotrope has been fashioned out of reasonably priced materials. Place it outside the house, where sunrays can touch its surface and see work mechanically like a sunflower. The solar powered light bulb will make the outdoors sparkle when dusk sets in. Position it in a flower pot or between the greenery, Biomimicry Heliotrope will not fail to leave an impression. This lamp has a Murano crystal base (handblown), and has an airy, fresh presence. The light has a clear base and comes in a steel frame which has a brass finish. Or you could choose from a black base with polished chrome finish. The shade is lovely and made from opaline glass. The Chapo light by Phillipe is a statement lamp which will turn a corner in your room into a conversation point. 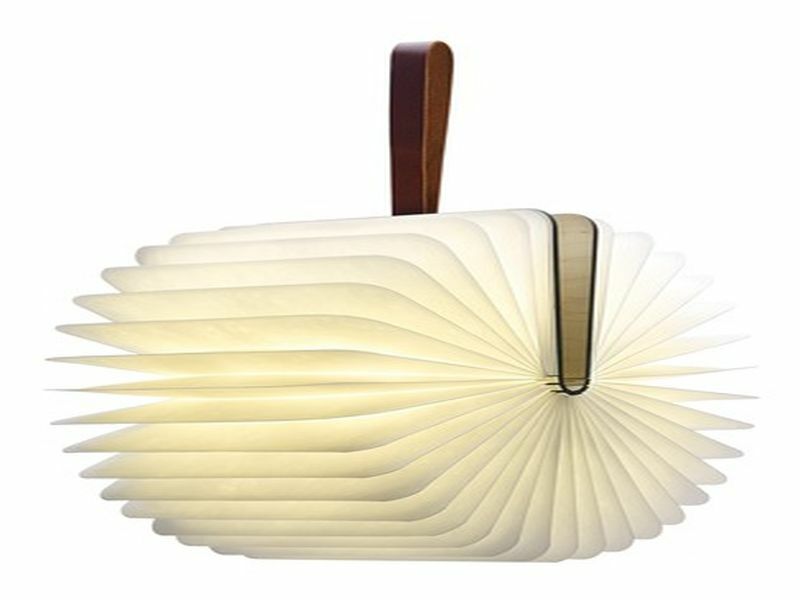 The lamp which is designed in the shape of an open book will look great in a reading nook and sure to be a favorite of book lovers. All the pages of the lamp are lit, and looks like an open book which has been transformed into a lamp. The Tring lamp, which is made of brass is designed in the retro style is also available in nickel finish and has an attractive shade as well. This floor lamp is beautiful and unique, designed with inspiration from nature. The light is available in highly polished bronze, polished steel and patinated bronze. 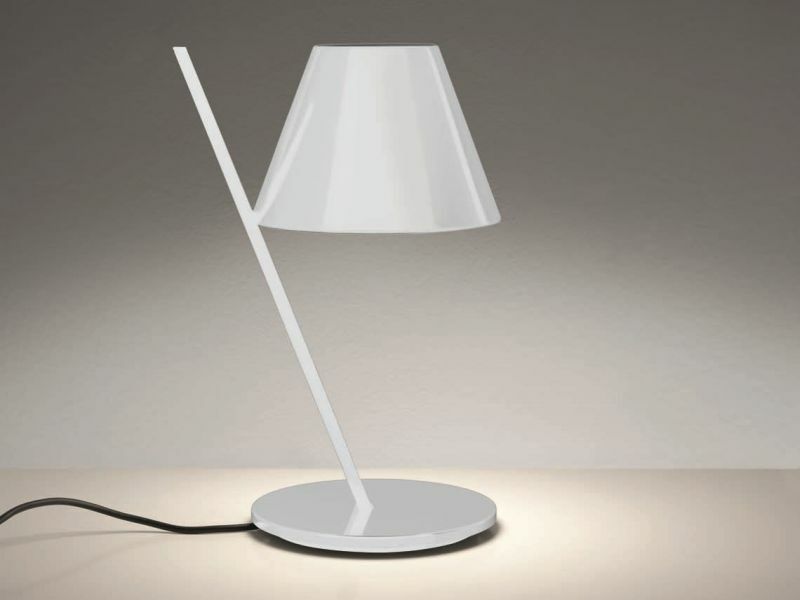 This table lamp is sleek and modern with a different style of shade. It would match perfectly with your modern style décor. 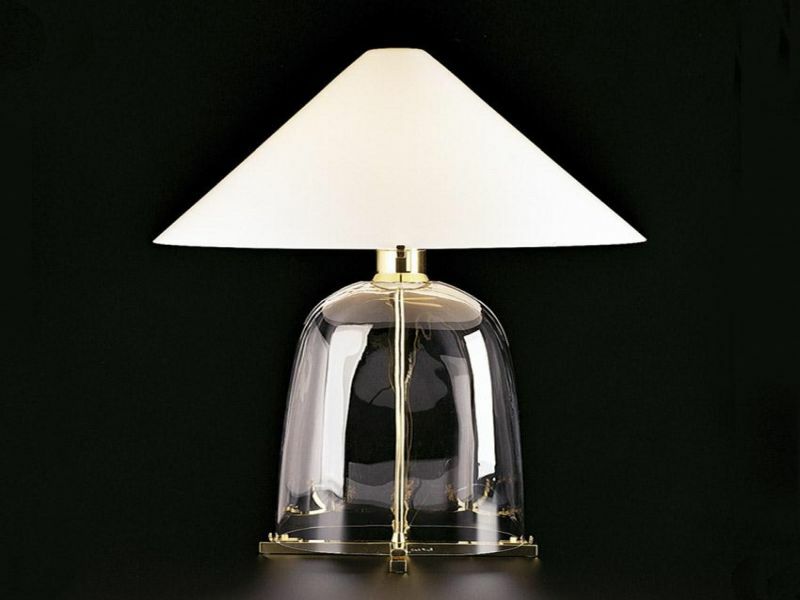 This lamp looks dramatic as it is made of gilt wood and rock crystal. Rock crystals are supposed to have positive energy and the lamp can spread both light and energy in your home. 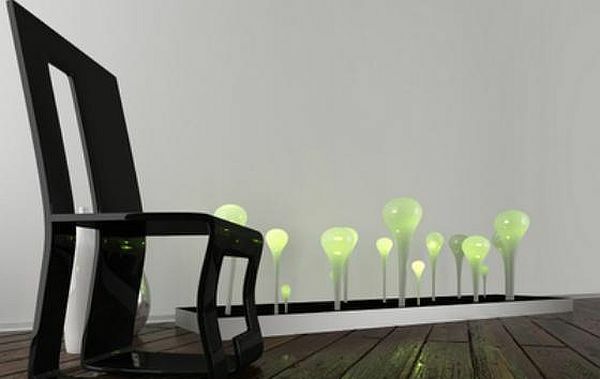 This lamp is sleek and futuristic and looks contemporary and designed in the most minimalistic way. The highly polished exterior is like a mirror which is what gives the lamp its futuristic look. 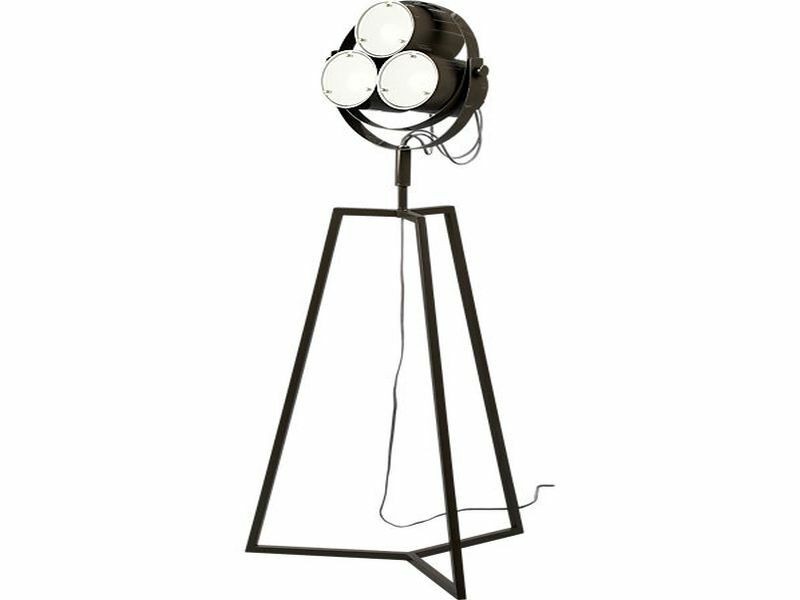 This floor lamp can turn the spotlight on your accent pieces and paintings. It can also add the fun element to your parties. ICF lamp is a floor lamp that gives the effect of the setting sun, which looks quite breathtaking. The glass sphere of this elegant lamp is balanced perfectly on a brass lamp for greater effect. This is another floor lamp which is a statement piece. It’s a mid-century classic which provides plenty of diffused light and looks smart, classy and contemporary. 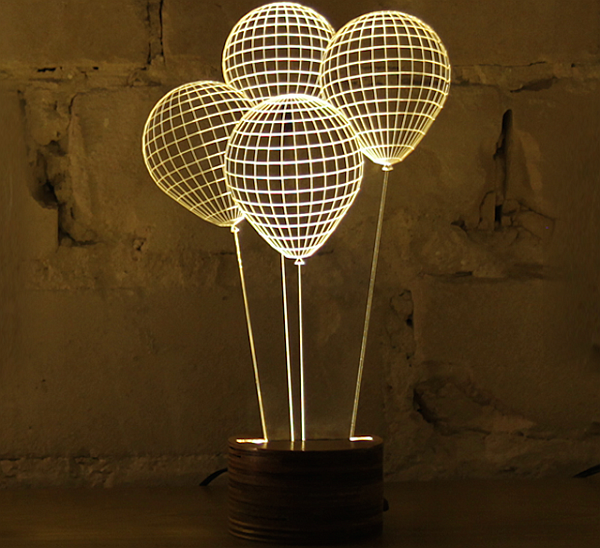 The floor lamp from Raymond Tensegritylamp is a geometric wire globe dotted by lights. The many spheres are joined together by LEDs which give an ambient light and are placed on top of a wooden light. 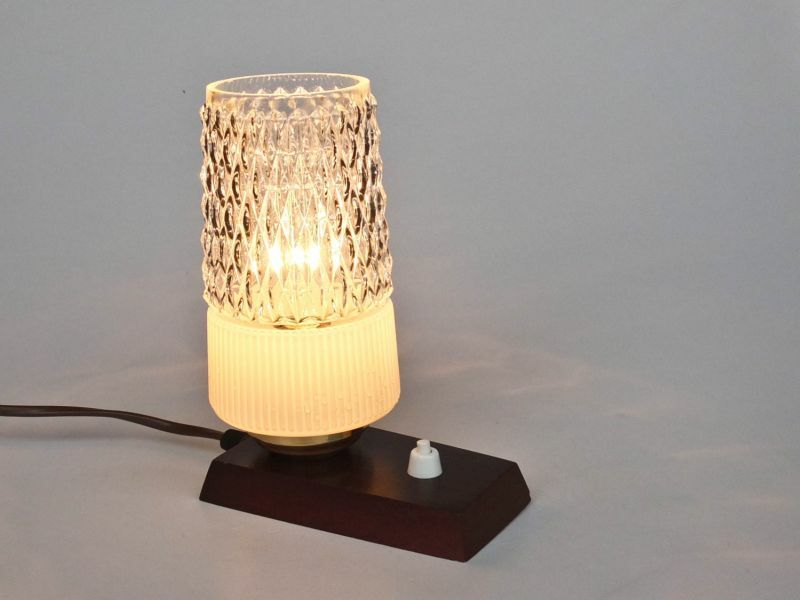 This lamp would stand out and make any living room sophisticated and stylish. This unique thing about this lamp is its shade which looks like it’s balancing the edge. 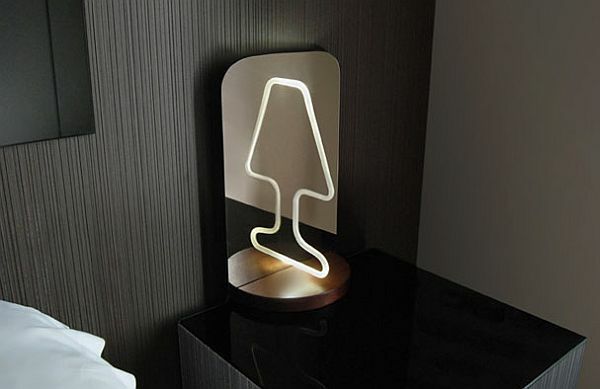 The lamp’sdesign looks quirky too due to its geometric composition though the design is simple and plain. It could be a nice addition to your home as look cool and smart, matching with your contemporary décor. 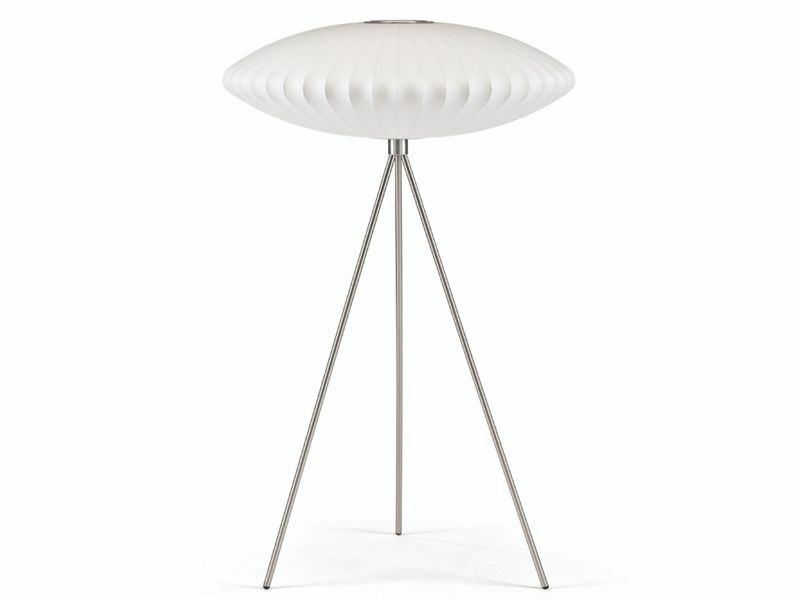 Called “In the wind”, this floor lamp has willowy curves which reminds one of a cool sea breeze. Fitted with LED lights, this light can be a good fit with any style of interior design. The Oudh table lamp is made from brass and its simple lines give a contemporary, classy look. The marble sphere acts as an on-off switch as well as being a decorative accent. You can invest in a statement light which will transform your living room, last long and look beautiful, whenever you feel like introducing a new element of décor in your home. Coral Lamp is a brainchild of a Serbian designer, Marko Vuckovic. It is a solar powered design and is inspired by the endangered coral species. A square shaped base holds a series of different sized coral shaped light bulbs. You need to place the lamp besides a window so that the solar panel located on the base top receives sunlight that makes the lamp glow at night. The coral shaped lamp gives an aquatic feel well within your home or office. This is an introductory product by designers Michael & George. 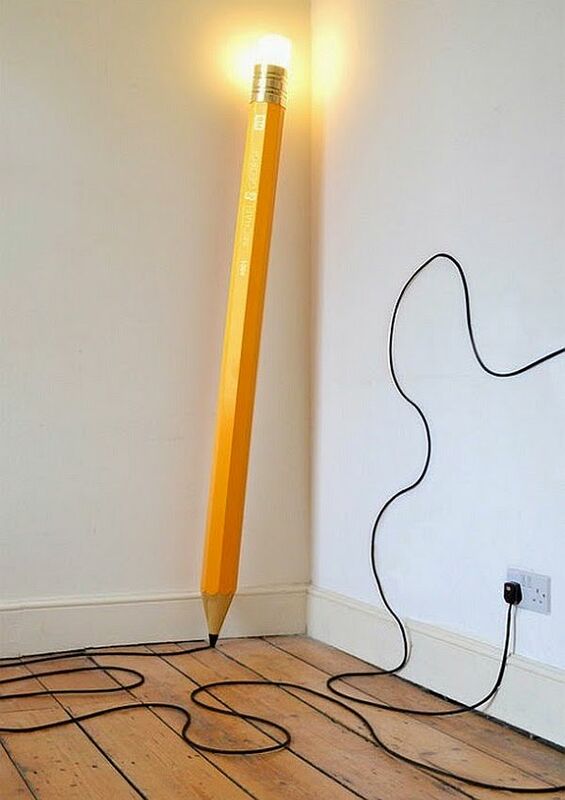 The lamp will remind you of those HB lead pencils that all of us have used at some point in our lives. The lamp is a made to order design handcrafted in the UK. The body is a cedar body with a yellow and golden satin finish, a brass polished ring, white blown glass light diffuser, a resin tip, and an 8m cable. Coming from the house ofkutarq studio, the Moitié is an unusual lamp design where reflection is an integral part of the design. The angle of view varies the vision of the lamp, as in you get to see a different shape of it from different angles. The mirror reflects the half shape, thus, you get to see the full shape in the mirror. Imagine your room having fish shaped lamps, what a nice aquatic feel they can give to your room. Architect Frank Gehry has come with an astonishing design that depicts numerous varieties of moving fish. 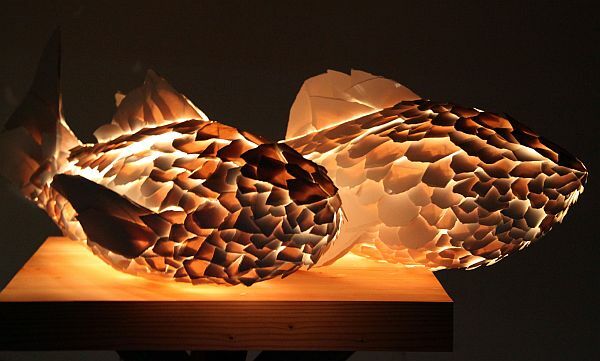 When the lamp is lit, the light comes out through the fish’s scales and illuminates the room. This particular concept of lamps is actually unusual wherein the lamps create a 3D illusion. They are a creation of a Tel Aviv based studio, which has used the 3D concept to create lamps with different shapes like a face, mountain, globe, balloon, and many more.